Make a bold statement with wide width flooring. We offer flooring sizes up to 11" in either prefinished or site finished floors, making your home uniquely yours. "I am so pleased with how our refinished floors look. 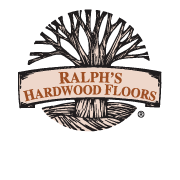 Ralph's kept us up to date on the progress when we were out of town and gave really great customer service."